Not all alcoholic beverages are the same. The alcohol content of wine, for example, is different from that found in vodka, gin, and beer. In the majority of cases, the alcohol content is presented as ABV content. The ABV alcohol content in a drink is usually measured in a percentage. The higher the alcohol percentage, the faster a person would become intoxicated and experience the side effects of their drinks. Why is abv different in various alcoholic drinks? Abv and proof – what is the difference? What is the average abv in different drinks? How to count abv in cocktails? What are the reasons to know abv in drinks? ABV is an abbreviation for the term “Alcohol By Volume.” This is a reading that is used to help a person understand the alcohol, or ethanol, content that is found in a particular beverage that the individual may be interested in drinking. Drinking a beverage with the highest alcohol content will usually have a higher ABV percentage and will lead to intoxication much faster compared to a drink with a lower rate. It is not only essential to consider the ABV content in one particular alcoholic beverage, however. The alcohol content in wine, beer, and other drinks that are being drunk together at the same night will count up. This leads to faster intoxication and ultimately causes a person to become drunker. Not all alcoholic beverages are made in the same way. While there is a fermentation process that needs to occur with all types of alcoholic drinks, some types of drinks tend to have a much higher ABV percentage compared to others. For example, beer alcohol percentage usually tend to be on the lower side. When it comes to the alcohol content of vodka, however, we see an ABV percentage on the higher end. Alcohol is also found in some products other than standard beverages. For example, there is alcohol in Listerine and many other mouthwash products. The ABV percentage of these products, however, is much lower than the beverages a person can order at a bar or buy in a liquor store. When looking at vodka alcohol content or the alcoholic percentage of any product, a person will find that there is an ABV rating on the bottle. In addition to this information, there is often also another factor called proof. Many people are unsure what the difference between the two terms is. Generally, there is a strong relationship between the ABV and proof when it comes to looking at moonshine alcohol content or any other type of alcoholic beverage. ABV, as previously stated, whether looking at the alcohol percentage in beer or any other type of drink, refers to the amount of ethanol that is in the beverage. Proof, on the other hand, is a doubled rating of the ethanol content. For people asking what the relationship between liquor’s proof and its alcohol content is – it is important to understand while the term “proof” refers to double the Alcohol By Volume content within the United States, some countries have their calculation. Essentially, the “proof” tells a person about the ethanol content or how strong a drink is. This term was first used in the 16h century in England. When there was a certain amount of alcohol in a drink, then the beverage would have been considered a “proof spirit,” and extra tax would have been applied to it. Understanding the different ABV contents in various alcoholic beverages is essential. This will help a person understand which drinks could cause intoxication faster – helping them avoid such beverages if they are not looking to become drunk. Below follows a list of different alcoholic beverages, including their usual ABV content. Whether a person is looking to understand moonshine alcohol percentage or perhaps that of another drink – the information is readily available online and can also be found on the bottle’s label as well. First on the list is the percentage of alcohol in beer. Beer tends to be on the lower side when it comes to alcoholic content. In most cases, beer abuse tends to have fewer effects compared to consuming too much vodka or another type of drink with a higher ethanol percentage. In most cases, beer ABV will be between 4% and 5%. Some craft beers have higher ethanol content, however. The highest alcohol content beer tends to be around 14%. Wine alcohol content tends to be higher than that of beer. In most cases, the red wine alcohol content will be around 11.6%. Many white wines may have an ABV between 12.5% and 14.5%. It is still, however, essential to take a closer look at the label, as the alcohol percentage in wine may defer, depending on where the wine was produced and how it was made. A fortified wine product tends to contain more ethanol than a standard red or white wine. For those wondering what is the typical alcohol content of wine, in the case where the wine is fortified, the ABV will be higher – usually around 20% in total. Thus, a fortified wine will lead to intoxication faster. Vodka alcohol content is usually on the higher side when it comes to drinking. The average ethanol or ABV content that is found in vodka tend to be about 40%. Some vodka drinks may have a lower or higher ABV percentage. Gin alcohol percentage also usually tends to be higher than many other drinks on the market, which is why people will often take much less gin compared to pouring a glass of wine or drinking a bottle of beer. The percentage of ethanol is usually between 37.5% and 40% in gin. Similar to vodka and gin, whiskey alcohol content is also usually high. In the majority of cases, a person would find that the minimum ABV in whiskey is around 40%. In most cases, rum will have an ABV rating of 40%. There are, however, many brands on the market with a much higher ABV percentage. Some may have an ABV that is as high as 80%. Tequila can have a minimum ABV of about 32% but can range up to 60%, depending on the type of Tequila and the brand. The average Tequila alcohol content, however, is around 40%. Sake alcohol content depends on factors such as whether the beverage was diluted before the bottling process. When dilated, the ABV will usually be around 15%. In cases where sake has not been dilated, the ethanol content may be up to 20%. There is a variety of alcohol on the market. Generally speaking, most liquors tend to have an ABV rating of 40% on average. It is worth noting that there is an array of non-alcoholic drinks that may be able to substitute alcohol drinking. Kombucha is often promoted as a non-alcoholic drink, but some people may report that they get drunk without drinking alcohol after consuming kombucha. The fermentation process required to prepare this drink may cause some ethanol content to be present in the beverage. In most cases, the kombucha alcohol content will be significantly low – at around 0.5%. Some people may also use kombucha as part of natural alcohol detox. Counting the ABV content in a cocktail is much more difficult compared to considering champagne alcohol content or another type of drink. Since different types of drinks are usually mixed in a cocktail, the ABV content of each beverage tends to defer. An ABV calculator can sometimes be useful. The amount of each drink included in the cocktail will need to be taken into account. This is also a particular problem for people with binge drinking disorder – the more drinks the individual combines, the harder it becomes to determine the beverage’s ABV content. There is a general calculation that is often utilized to calculate the ethanol percentage of a cocktail. 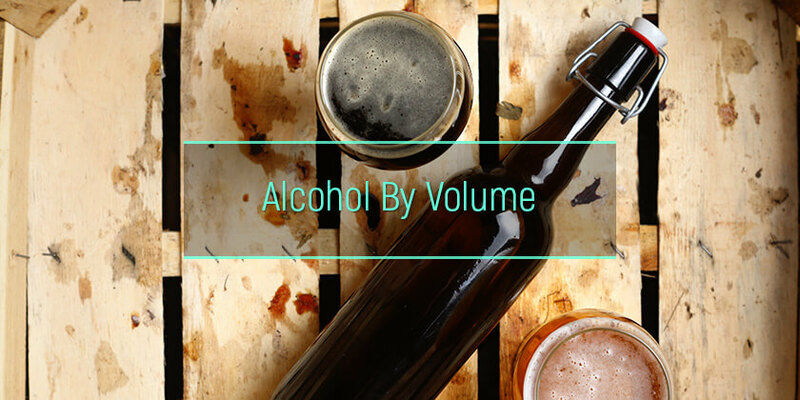 The volume (in ml) of the alcoholic content would usually be multiplied by the percentage value. The calculation is then divided by the sum of all the ingredients (in ml), and this value is then multiplied by 100. If 45ml of Rum with 40% ethanol content is used in a drink with a total sum of 150ml, then the total Alcohol By Volume content of the cocktail would be 12%. It is crucial for a person to understand what ABV means and how it relates to the particular drink that they are consuming. This would allow a person to drink moderately by counting the alcohol or ethanol content that they are consuming. For example, when drinking wine every day, a person can opt for a drink with a lower ABV content to help keep the level of ethanol they consume on the lower side. Not all alcoholic drinks have the same amount of ethanol. Bailey’s alcohol content differs from what is in vodka, beer, and wine, for example. Patients experiencing chronic alcoholism often do not care about the ABV percentage of a drink that they are having – or multiple drinks that they will be consuming. A rehabilitation center for alcoholics can be useful in such a case. There are various treatment options available for patients with alcoholism. An alcohol treatment program will usually depend on the severity of the patient’s condition.